Meet at the picnic shelter / restrooms in the main parking lot at 8:00 a.m. on the first Saturday of each month. Guy leads the group down the greenway, looping around the sparrow fields on the way back, for a total distance of about a mile. Beginning birders or those who are a little rusty are welcome, and there are extra pairs of binoculars for anyone who might need them. 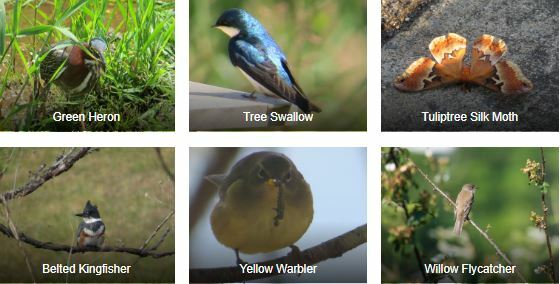 Below are some of the wildlife seen at Brookshire Park.